The Chipper Clipper: Great Goldfish Coupon and More! 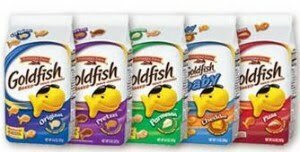 There is a new Goldfish coupon available: $0.50 of one Original, Pretzel, Parmesan, Baby or Pizza. This is a great coupon for stores that double! Print yours and score some cheap Goldfish!